Hey everybody, it’s Chris! I hope you’re having a fantastic day. We just finished our morning meeting with our operations department and I have something for you that can help you double the results that you’re getting from your advertising on social media. If you’re a mortgage or insurance professional, or potentially you’ve been referred to us by one of our mortgage clients and you’re in the real estate business, this works for all of you. What I want to do is show you inside the dashboard of one of our accounts from yesterday. We ran a test on this client’s account over the weekend, and then I had a chat with our operations department about the results that we saw from that test. Right here, over on the right-hand side, I want you to see, Facebook gives you this thing – it’s called a relevance score. The relevance score tells you how well the marketplace is responding to the ads that you’re putting out there. If you write an ad that’s offensive to somebody or people don’t like it or you’re just too pitchy, people can actually give you negative feedback on your advertisements. That will decrease your relevance score and then Facebook, or Instagram, will make you pay more for the ads that you’re running. So check this out! On this test, you can see these ones at the bottom both had a relevance score of six. We’re trying to get that better, but this is just over a couple of days in this actual advertising campaign. Now look, the two ads that we ran at the top, they have a relevance score of five. Now, what I want you to do is come all the way over here and look at our cost per click. For these top two, the CPC was $8.20 and $11.81, respectively. Now, if you look at the ones at the bottom, look at the cost per click there – $3.40 and $5.10. What that means is that just by having the relevance score of one point lower on our ads, we have to spend double per click in order to drive that person through our funnel. 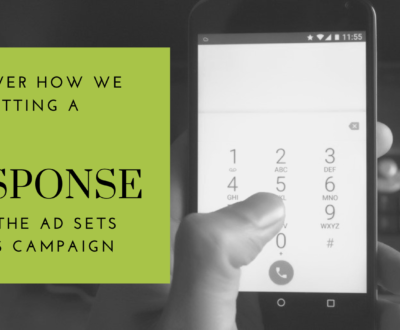 What we find is once this campaign is optimized and the account manager has done their job really well and the Facebook algorithm has done its job very well, we’re able to get relevance scores of seven, eight, nine, sometimes, very, very rarely, we’re actually able to achieve a relevance score of 10. Every time you do a better job of getting a better relevance score, your cost goes down. 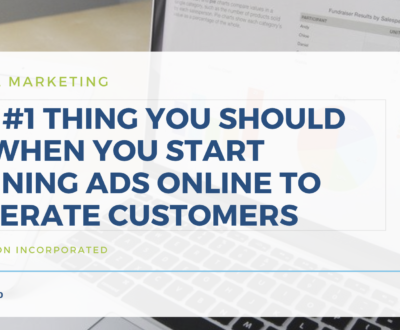 By simply writing ad copy that resonates with the market that you’re targeting, you can generate a far greater response from the ads that you’re running on social media because you’re able to buy the traffic for much less. 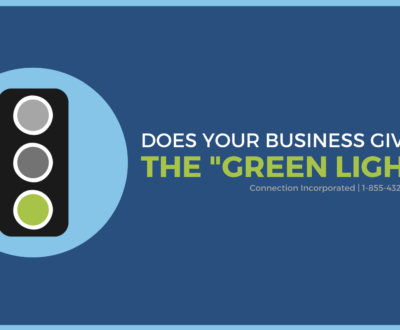 Now, it’s also an indicator of how well your message is resonating with your marketplace. 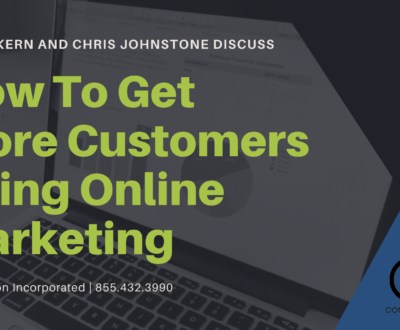 I’ll give you two tips here in this video and then I’ve actually produced a training that shows you our internal process for making sure that we’re giving the right message to the right market and generating high-quality leads at a low cost. I’ll tell you about that in just one second. I wanna give you some incredible value first. The first thing that you can do to really achieve a great relevance score in your Facebook ads is by niching out the ad sets that you are delivering your message to. In the mortgage marketplace, you have, let’s just say, for example, half of your traffic that is going to be people who are interested in purchasing real estate and then the other half of your traffic is going to be people who are interested in mortgages. 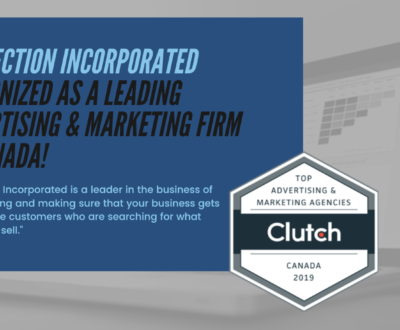 Now, what most people will do when we do a free consultation with them and we review their Facebook advertising account, is they will have both the real estate category and the interested mortgage category all lumped into one ad set and they’ll have one ad targeting both. Well, if you think about that, people that are in the market and searching for real estate that Facebook has identified, they’re interested in real estate information. If you show them an offer about mortgages, yes, it’s relevant, but it’s not hyper-relevant. Those people are going to say, “Eh. I’m not really interested in mortgage information,” so they’re not going to like your mortgage ad. Whereas, if you target people just interested in mortgages and you have more of a real estate type offer, you’re gonna get the same bad results. 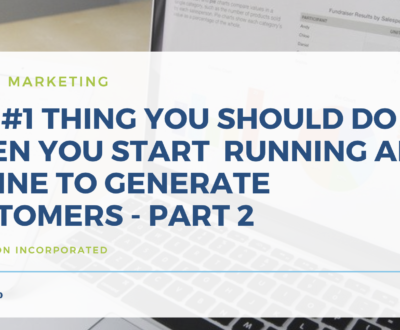 What you have to do is break those into two different audiences and write ads directed to the audience that you’re targeting. Then, you could also sub-niche it from that point and run specific ad sets for specific characteristics that people have. For instance, one of the things that our account managers do, is they break ads or ad sets into male or female. We write ads different for women than we do for men. It’s all about those little changes that move big needles in our accounts. That’s why we get good quality leads. It’s why we’re able to scale campaigns faster than a lot of other agencies out there. We do the hard work upfront in those first 60 days to run a lot of testing, get your campaigns running properly. Then, we are able to scale. So the first tip is one ad set. Write ads specific to that ad set and test at least three or four ads across that traffic. That will help you generate a better relevance score. The second tip is your actual ad copy needs to help people. We are past the age of just being able to go out and give a pitch, like going out in the mortgage market, targeting cold traffic and just saying, “If you want a mortgage, I’ve got the lowest rates.” That will not resonate with people on social media. It’s too hard of a pitch. You have to build a relationship with people through social media. 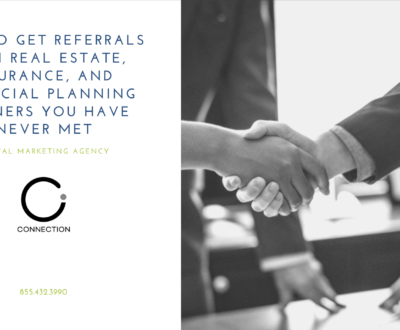 Get them to know you, like you, trust you, and then give them a relevant offer for whatever it is that’s going to bring them into your mortgage business or your insurance business or your real estate business. The day of just picking an audience and running an ad that drives them to a landing page is over. We’re doing this really cool thing that’s called intent-based branding. I’ve had it taught directly to me from Frank Kern. What we do is we take videos just like this. They’re helpful. They’re friendly. They’re short. They’re punchy. They give real solid value. We have produced mortgage videos for our clients that teach people about the mortgage process. How to pay your mortgage off faster. How to get a better rate when you’re actually going to get your mortgage. How to make sure that your credit score is the best as possible. We show those videos in people’s news feeds. If they watch a certain percentage of the video, then we show them an ad. You don’t need videos to be able to do it. You can do long-form posts that are just written out text posts that help people understand the mortgage process. One of the questions that we see all of the time coming through our clients’ website forms is, “How much do you charge for your services?” Simply educating your consumer that you don’t charge a fee for your standard mortgage is valuable to them because it’s information that they didn’t have before. When you’re running your advertisements, give value upfront and then pitch your services in the second part of the ad. Long copy ads on social media are working exceptionally well for us right now. It’s okay to give content and then give a pitch because you’re giving value first and then making the offer. Now, I mentioned that we’ve created a brand new free training on how to do all of this stuff. I show you exactly how to target your audiences and our advanced targeting options that we haven’t even touched on this video. We did a $29,000.00 split test where we spent 29 grand on traffic in a month to actually show you how you can almost force the algorithms to find these tiny little pockets of high-quality borrowers, people that are very much in market and able to get a mortgage, able to get insurance, able to buy a home. Once you do that process one time, you own, essentially, that targeting option inside your Facebook account. I’m gonna show you exactly how to do that during the training. The second thing that you’re going to learn in the training is how to actually, effectively bring somebody through a social media funnel so that they are a quality lead. Let’s face it. We can target a tremendous amount of people on social media and at the end of the day, really only five, maybe 10% maximum, of those people are going to be in market and actually end up doing a transaction, getting a home or getting a mortgage in the next 90 to 120 days. You don’t want all of those people coming through your funnel. What you want is a funnel that actually repels the bad quality leads and attracts the high-quality ones. In order to do that, we make people jump through hoops by using our Chatbot, which is a messenger conversation, or one of our survey campaigns. We’ve actually got this cool new technology that we’re using where we’re actually pulling data from different sources and using that to qualify people as they’re going through the funnel. It’s really cool. What you want is not everybody coming through your funnel. You just want people that are actually interested. You have to make them answer questions and jump through hoops before you get their name, their phone number, and their email address. I show you exactly how we do that in the training – how to set up your system and what questions to ask. You’re absolutely gonna love that part of it. The third thing that I teach you how to do is how to forget about the actual follow up process in your business. I mean, so many people that spend so much time they get frustrated with online leads because they are low quality. It is the nature of the internet. What I’m gonna show you how to do is set up a system that automatically follows up with all your leads, with ring-less voicemails, text messages, and emails. It’s a very helpful process. It gets people to know you, like you, trust you, and want to do business with you so that when they are ready, they reach out to you, but you haven’t actually had to do any of the follow-up or any of the work yourself. That means no more cold calling, no more chasing leads. By using that three-step process, effective targeting of the right person on social media, an offer that qualifies them, tries to get rid of as many bad leads as possible, but actually gets people to jump through hoops to get to you, and then an automated sequence on the back end that gets them to reach out when they’re ready to talk to you, it is the way to successfully scale advertising in your mortgage, real estate, or insurance business to actually close business from social media. You can’t skip any one of those things. If you’re missing just one of them, your funnel won’t work. If you want to grow your business through social media advertising and you’ve struggled in the past, you just want that next level, this training is for you. Just leave a comment below the video. Let us know that you’re in and we will send you a link to the training. It’s actually hosted with my buddy Carl White, who is much smarter than me. He’s got a tremendous amount of value in that training as well, just with his insights and his incredible business knowledge. You’ll get to hang out with both Carl and myself on the event! 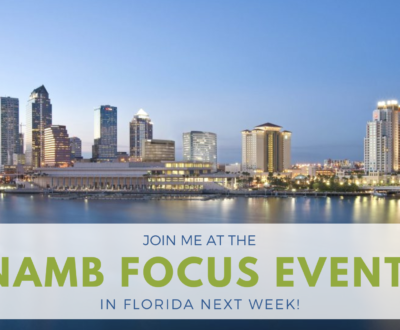 Give us a call if you have any questions and we are looking forward to seeing you there and helping you with your mortgage marketing!